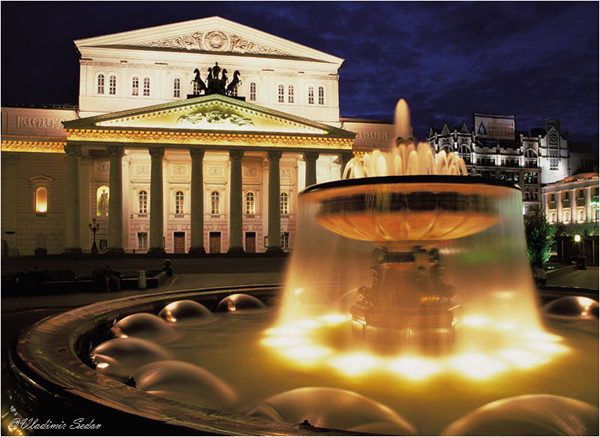 Lubyanskaya square is located not far from Kremlin and the Bolshoi thater. The square is known for the ex-KGB building, located there, surrently occupied by its successor FBS. The building was the center of the political opressions in the early Soviet time. The part of the building was used as a special prison. Among the prisoners were Solzhenitsin, Bukharin, Mandelshtam and others. Solovetskiy stone, brough from one of the most famous prison camps has been put on the square as a memorial to all innocent victims. Yeliseev store is the most known grocery shop of Russia. 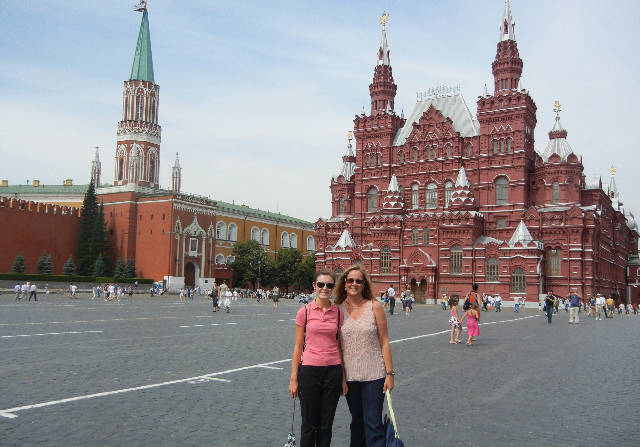 It's located on the Tverskaya street, few blocks from the Red square. 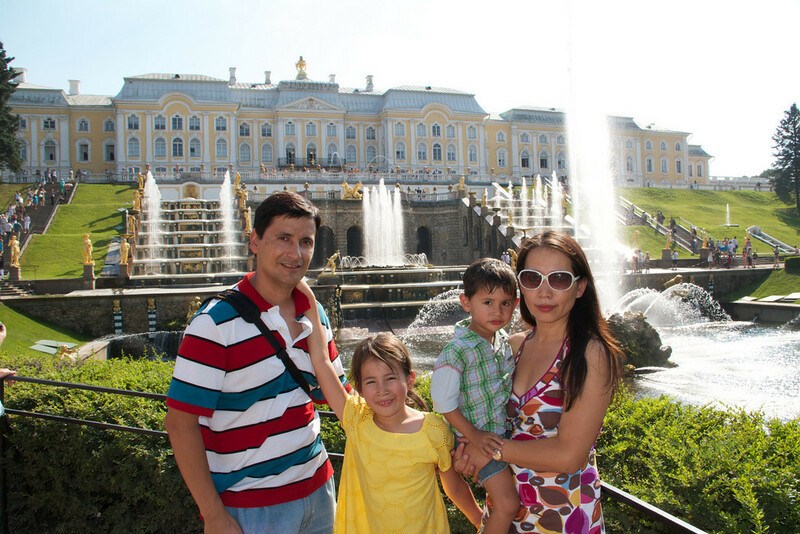 Yeliseev family built their fortune on the imported goods, like fruit, olive oil, tea, coffee, vine. It was the first large supermarket type shop of the family, opened in what was the most luxerious part of Moscow. It was followed by no less impressive shop in St. Petersburg. “Moscow city” complex- new growing business district of high rises. Sparrow Hills known for the main building of Moscow State University and the observation platform offering a fascinating view of the huge megalopolis. 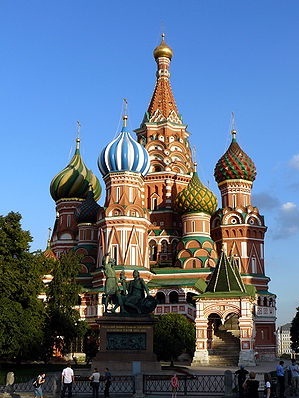 Start the day with a walk in the historical centre of the city with a visit to St Basil Cathedral and shopping mall GUM. These are places that make Moscow one of the most beautiful cities of Russia. and Annunciation Cathedral, a home church for the royalty. Kremlin will surely reveal you some mysteries of the Russian state and soul. While touring the Kremlin you will also visit Armoury museum, famous for the Tsar's regalia such as jewelry crowns, orbs and scepters, clothing of the Russian tsars and tsarinas, royal carriages, collection of arms and armour, gifts to the Russian Tsars from various countries of the West and the East, and the illustrious collection of Faberge Easter eggs. 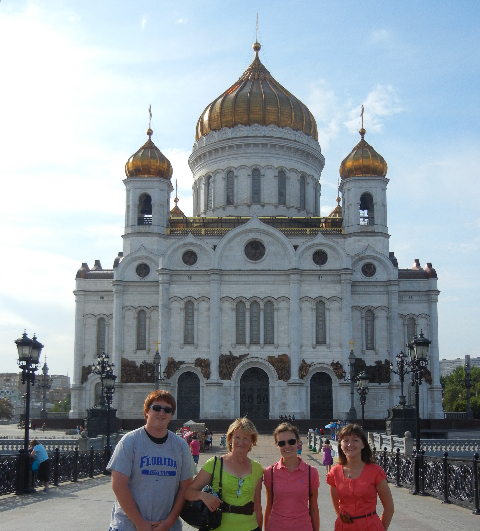 The tour continues with a walk along Arbat Street, a colorful promenade with numerous antique stores and cafes. You will take Metro to go back to the hotel with Metro tour on the way to see some of the most beautiful stations of world famous Moscow subway system. Evening Transfer to the train station to catch Fast Sapsan Train to St. Petersburg. 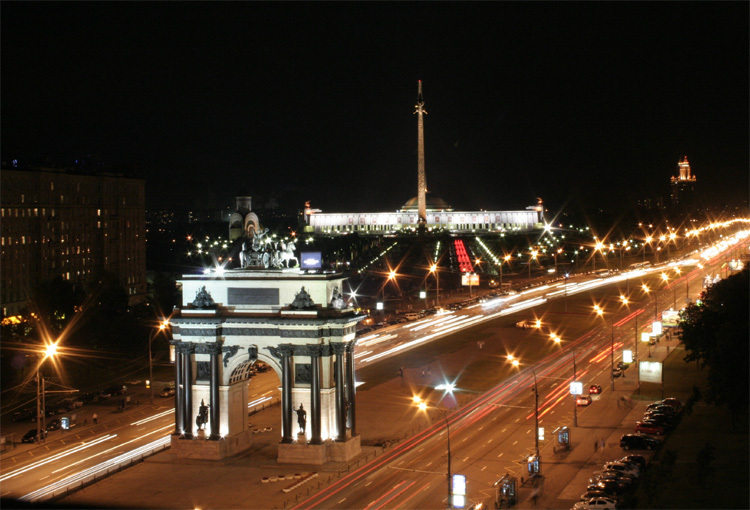 Enjoy the luxury of this speedy ride and keep your eyes open for the marvellous St.Petersburg at night. 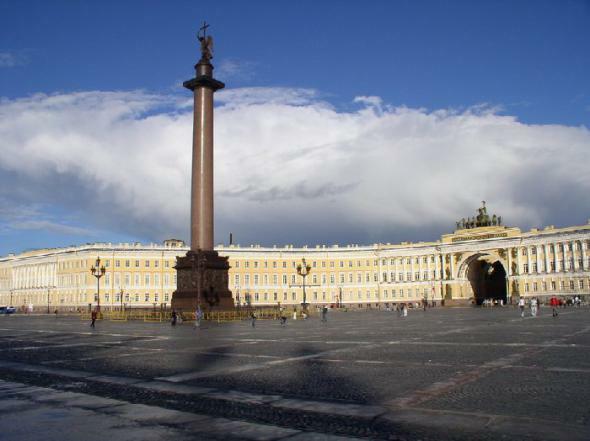 Your day will start with meeting your professional and friendly St.Petersburg guide in the lobby of your hotel. 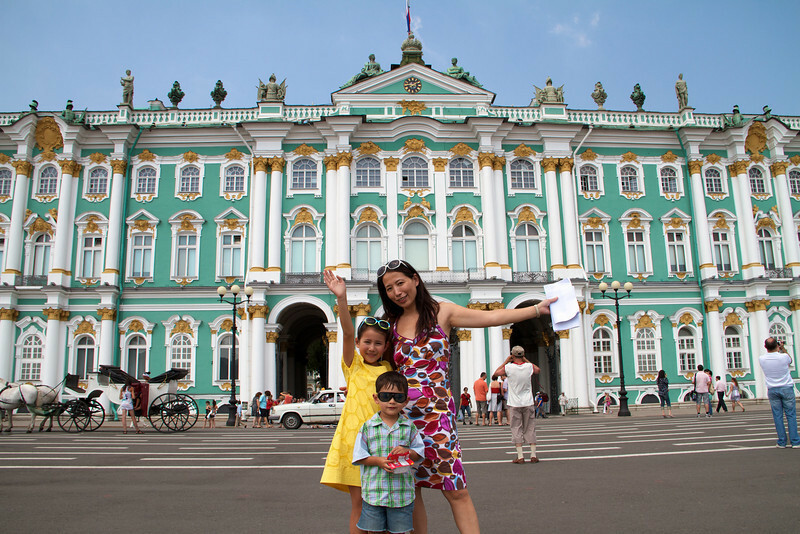 You will first walk to the Palace Square, admire the beauty and grandeur of the Tzar’s residence – Winter Palace, which is part of the Hermitage museum. Enjoy a private guided tour of the Hermitage museum and ask as many questions as you can think of while exploring the enormous collections. During the tour you will see state palace interiors of the Winter Palace, the most glorious tzar residence in Russia, started by Empress Elizabeth I and finished under Catherine the Great's rule. Explore magnificent art collections assembled by the Imperial family and carefully saved from destruction by the staff of the musem during the Second World War. You will see the highlights of the 15th-18th century European Art collection like Da Vinci, Michaelangelo, Raphael, Veronese, Tintoretto, Tiepolo and other world-famous names, as well as enjoy the museum's collection of Impressionists and Post-Impressionists located in the General Staff Building. Savour a delicious lunch in a local café/restaurant and strech your legs! Its time to meet your private driver to enjoy a Panoramic City tour of St.Peterbsurg with picturesque stops in most popular places and by most spectacular sights: Aurora cruiser, Peter's Log cabin, Nevsky Prospect - the main street of St. Petersburg, Anichkov Bridge and Anichkov Palace, Fontanka and Moika Rivers, Kazan CathedralSt Isaac's cathedral, Admiralty, Palace Square and Alexander Column, General Headquarters Arch, Senate Square with the Bronze Horseman monument to Peter the Great, Palace Bridge, the monument to Nicholas the First, St. Nicholas Cathedral, University Embankment with its historical buildings : Kunstkammer, the Academy of Sciences, and St. Petersburg State University, Menshikov Palace, the Academy of Fine Arts, the Square of Arts with Michael's Palace, the Mosque, the Aurora Cruiser, the Smolny Convent, the Taurida Palace, the Foundry Bridge and the Foundry Prospect with the "Big House"(the KGB headquarters) and many more! 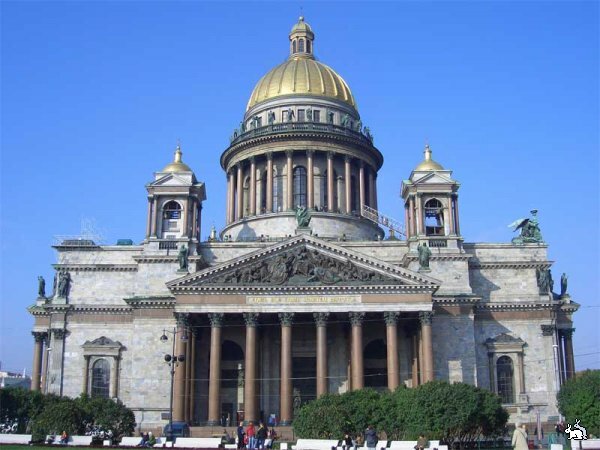 During the tour you will visit Peter and Paul Fortress, Church on the Spilled Blood and St.Isaac’s Cathedral. Return back to the hotel at the end of the day. Meet your guide and driver at the hotel and depart to the suburban Imperial Residences. Explore the favourite residence of Empress Catherine the Great - Tsarskoye Selo - and see what was left from it after the hard days of the Second World War. Enjoy the unconventional beauty of the newly-recreated Amber Room, which is considered to be the 8th wonder of the world. Walk the peaceful grounds of Catherine's residence and relax. Have lunch in a local cafe/restaurant. We highly recommend to try a Sampling Menu at Podvorye Restaurant where ex-president of Russia Vladimir Putin celebrated his birthday in 2000. Forget about the president, it's not about him. It's about the delicacies you get to enjoy. 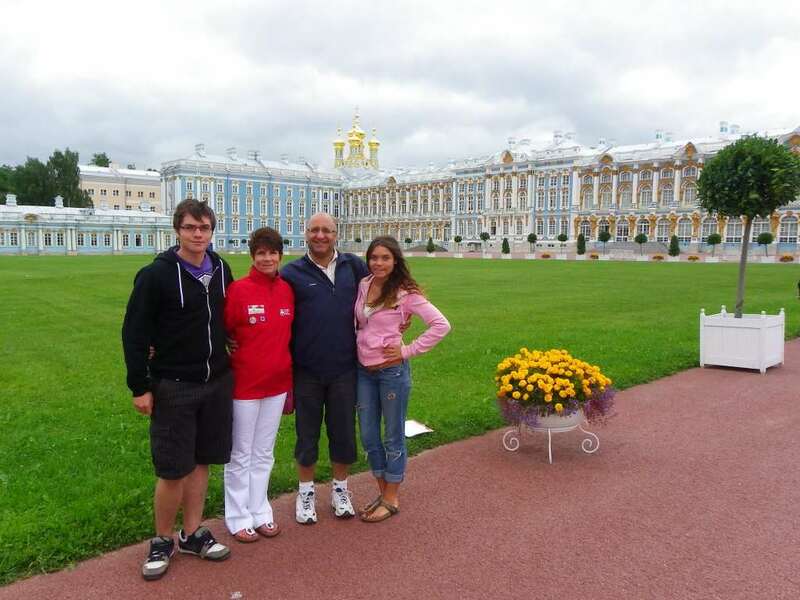 Drive to Peterhof and explore the world-famous gardens and enjoy the multitude of beautiful fountains and realise that the nick-name this place was given - Russian Versailles - is more than justified! You will also visit the Grand Palace of Peterhof and enjoy the cosiness of this 'miniature' (in comparison to the Winter palace and Catherine's palace) Imperial residence rebuilt by Rastrelli from Peter's modest mansion into a truly splendid gala residence of Elisabeth! NOTE: You are welcome to add more days, to make your stay longer! 200 USD surcharge for Portuguese, Italian, or Mandarin. Other languages are available upon request. You can easily do this tour in reserve at no extra charge. Simply inform your tour manager or write it in the comments section. Optional free day can be added in either city. More tour days can be easily added upon your request. 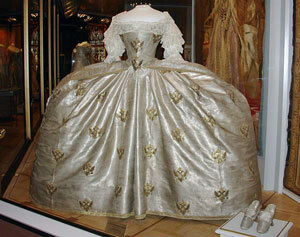 If you would like to include more sightseeing - please contact your manager for a quote. If you would like help booking hotels - just let us know and we will make recommendations and will book your selections.